...from Notre Dame. 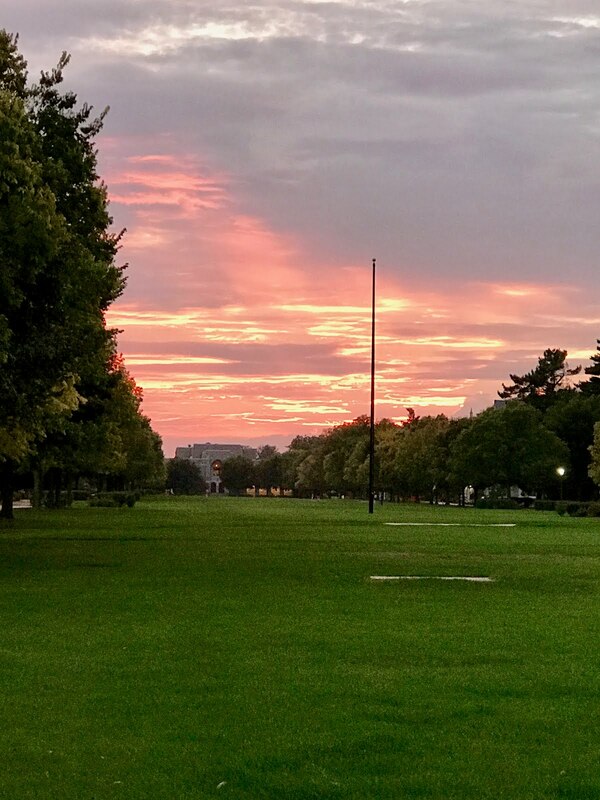 Here's a beautiful sunset seen from South Quad looking towards the Rock athletic center. The sky looks like a Claude Monet painting... and when you see one, it's a masterpiece! Enjoy God's masterpiece, and enjoy your Sunday wherever you may be!